It has been a week of binding and finishing up quilts. I am happy to share with you my "Scrappy Trip Along" quilt all bound, washed and ready to snuggle. The sewing technique for making this was so addicting and fun that it will go down in the books as one of my favorites. 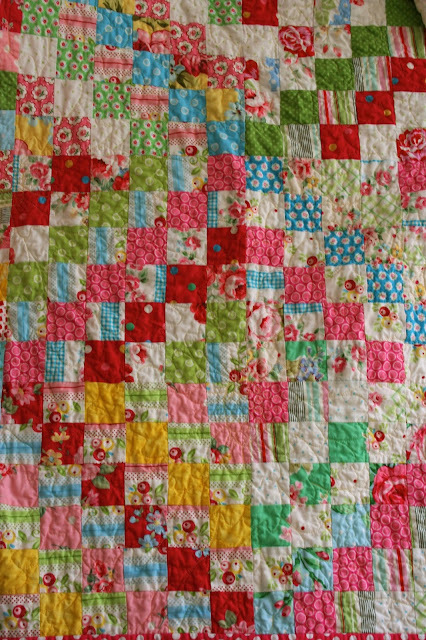 It is a bright, cheerful quilt and will be able to cheer me up in the dead of winter. 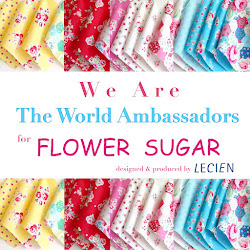 I used up all of the Lecien Flower Sugar I had in my stash to make this quilt so I really had no choice but to purchase the new Lecien Flower Sugar 2013 (wink). Blessings! I am in love with this! The colors the fabrics (LOVE flower sugar, how clever to use it so you could buy more!)everything! Beautiful! 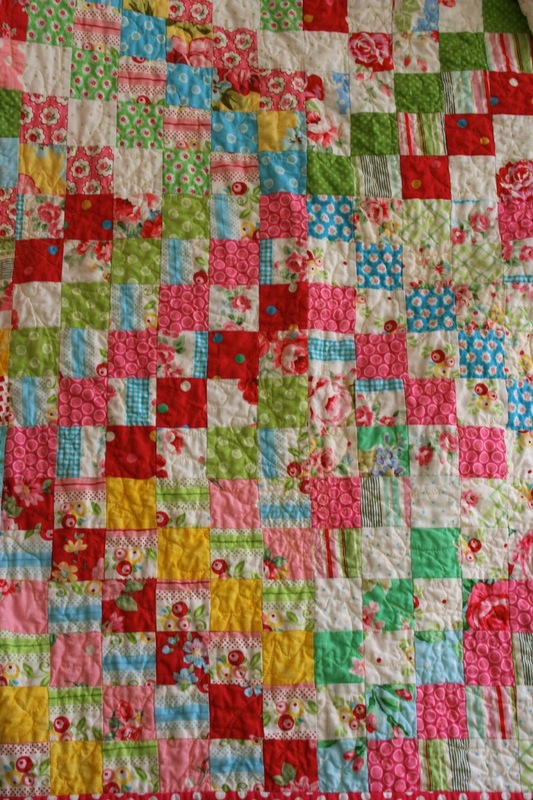 Your quilt is so pretty, love all the red too!! Oh it is beautiful Renee! This is the third trip around the world quilt that I have seen. I have to make one now. ;) I would have to use my scraps though. This is the most beautiful trip around the world I have seen online! Great fabric choice! Beautiful! Please email me where you found this pattern. I want to make one, too! So pretty! I did one in fall colors and you are right, it is addicting! As always, beautiful quilt, Renee. I truly admire your work. Your quilt is absolutely beautiful! I love all the colors. This is beautiful and reminds me of a postage-stamp quilt my mother makes. It's beautiful!!! Always love seeing a finished scrappy trip. so pretty, love your color choices. Gorgeous! You have motivated me to add this to my to do list! What a good way to "need" to buy new Flower Sugar! I love it!! Your quilt turned out so beautiful!! Your quilt is absolutely gorgeous!! And look at the gorgeous new flower sugar! 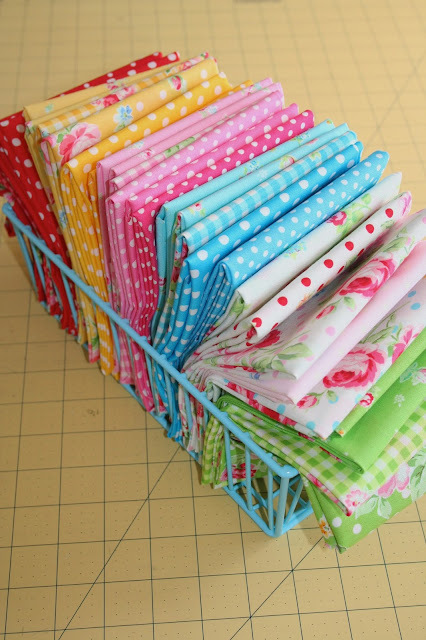 I've started collecting some fabric for a quilt I want to start soon. I have reds, aquas and some yellows. 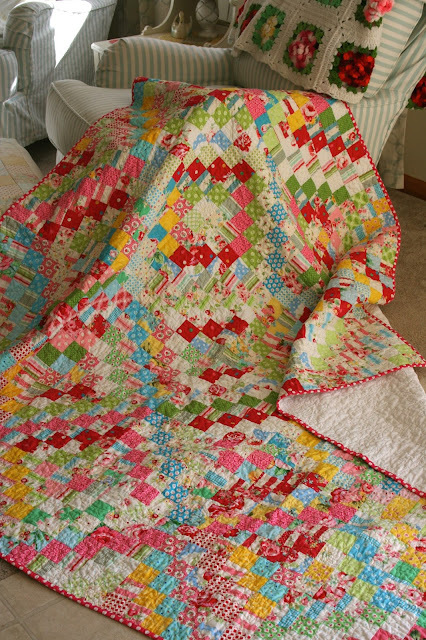 Seeing your quilt makes me think I need to add some greens and pinks :) Beautiful quilt.